Africa's ancient baobab, with its distinctive swollen trunk, is under a new and mysterious threat, with some of the largest and oldest dying abruptly in recent years. 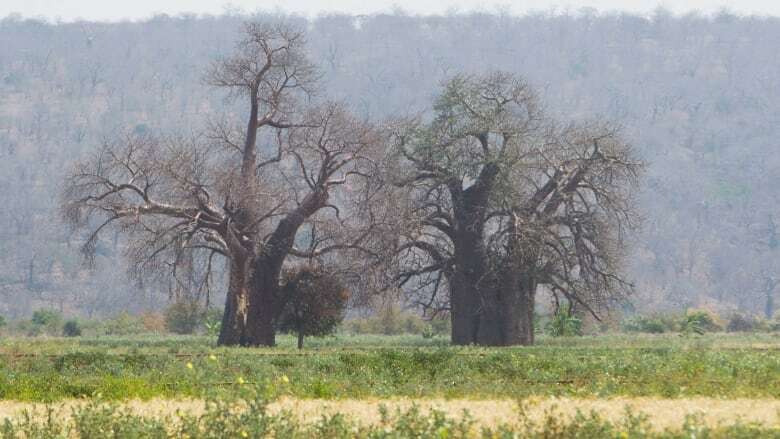 Nine of the 13 oldest baobabs, aged between 1,000 and 2,500 years, have died over the past dozen years, according to a study published in the scientific journal Nature Plants. The sudden collapse is "an event of unprecedented magnitude," the study says. Climate change, with its rising temperatures and increasing drought conditions, is a suspected factor but no definite cause is known. The deaths occurred in the southern African countries of Botswana, Namibia, South Africa, Zambia and Zimbabwe. "The trees that are falling over are at the southern range of the distribution of baobabs," said Stephan Woodborne with South Africa's National Research Foundation, an author of the study. "What we believe is happening is that the climate envelope in which they exist is shifting, and so we are not talking about the wholesale extinction of baobabs." Researchers are seeing very few juvenile trees in the affected region while the mature trees are dying off, "so what we are probably looking at here is a shift in their distribution in response to climate forcing," Woodborne said. Baobabs stud southern Africa's hot, dry stretches of savanna and are often in areas roamed by elephants, rhinos and other wildlife. Elephants help to propagate the trees when they eat baobab fruit, with seeds often sprouting in the nutritious elephant dung. 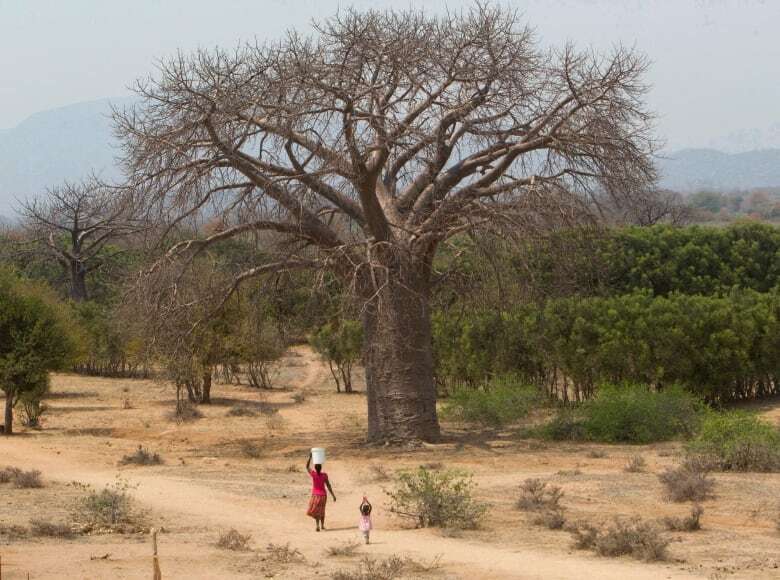 "Baobab trees are obviously iconic because of their size and their shape and they are very distinctive on the African landscape, and communities have been using them for various reasons through time," Woodborne said. "We find many archeological sites underneath these trees, and when we have trees that are more than 1,000 years old we are talking about occupations that took place many hundreds of years ago." Baobabs store large amounts of water in their trunk and branches, giving the trees their bulbous shape. Large trees can store as much as 140,000 litres (37,000 gallons) of water sucked up during rainy seasons. Thirsty elephants often strip a baobab of its bark and wood to get their moisture. The trees are often revered by local communities which sometimes gather around them to hold traditional religious ceremonies and communicate with their ancestors. People also use the tart baobab fruit to make drinks and mix with milk for a yogurt-like food, or simply shelter in the trees' shade on a sweltering summer day. 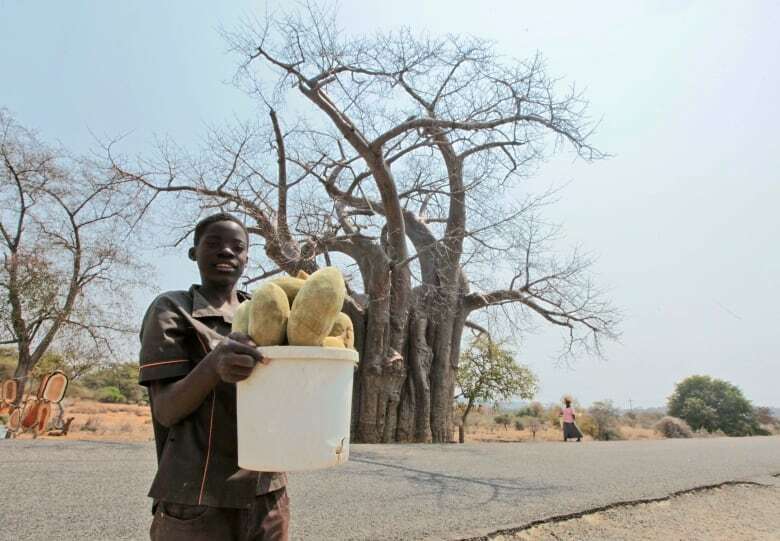 "Long, long ago there were no shops, so we used those baobab seeds and water to make our yogurt," said Anna Munzhelele of the Pafuri region near the Limpopo River in South Africa. "We would become strong ... it's like a type of medicine, we get energy from it." Damaged tropical forests now emit more carbon than all the vehicles in U.S.